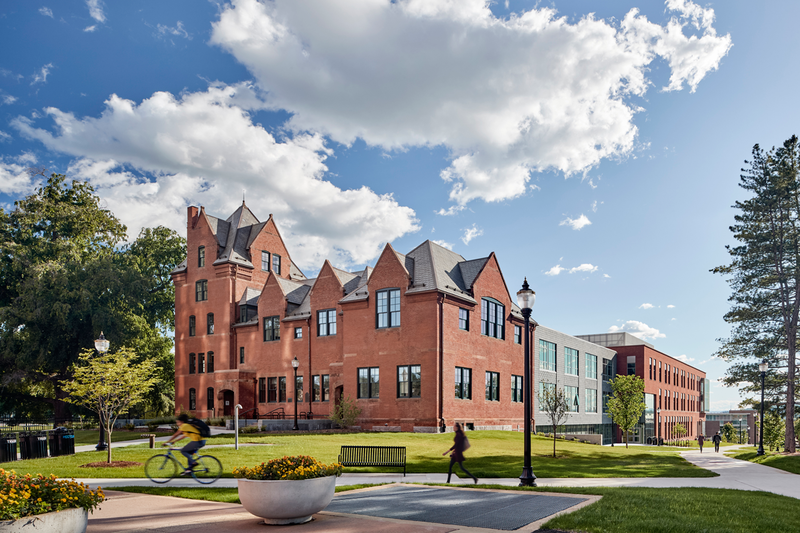 This beloved campus landmark at UMASS, Amherst was brought back to life, joined to a new addition that provided much needed services, infrastructure, and access. 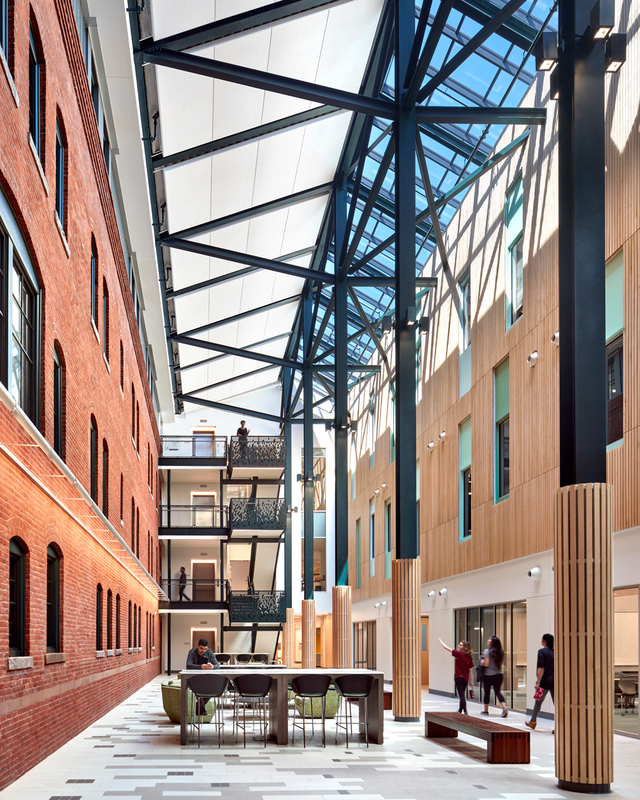 A three-story skylit commons at the heart of the building joins old and new, connects three levels of the campus, and functions as a much-needed campus gathering and event space.Four academic programs previously scattered around the campus were gathered into a single new home, along with administrators and student support, for the College of Humanities & Fine Arts. The building reaches out to the surrounding campus, with four “front doors” at three different levels, acting as a campus crossroads and meeting place.